Fishing lake trout from a canoe? Im going up to killbear near parry sound and i only have a canoe , i know they have made a name for themselves for having plenty of lake trout , BUT there deep and im in a canoe , would vertical jigging work? Dont have any of those swivels .. What if i drop a meduim spoon down wait till it hits bottom reel up about a foot then troll? Definitely try and get yourself some of those 3 way swivels bud. You'll want to get a pretty decent amount of weight on there, below the spoon. Without some added weight, once you start trolling, the spoon will just rise up in the water, and probably too high. 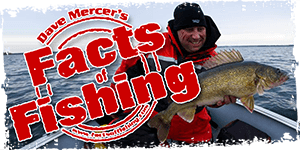 A 2-3 oz bottom bouncer commonly used for walleye should keep your lure down when paddling. Vertical jigging will also work but keeping the bait near bottom will be hard if your drifting at any speed. It's definitely going to be interesting in the middle of July from a canoe You'd probably be better off fishing smallmouth. Get youself a portable fishfinder, not only will it allow you to find bait fish (the trout wont be far behind) and mark what depth the trout are roaming...you can find structure and actually watch the trout hit. Watching the trout's reaction to your presentation will tell you lots too....like if they actually like what your offering and also how they want you to serve it to them, generally trout want to chase. I am going to go for lakers in the morning and i have a better camera now...but have a look at minute 1:28 on the above video and my Lac Seul report i have just posted for an idea of what i'm talking about and if i go tomorrow i'll spend some time video my set up and the fish on the screen(lol...hopefully there will be some fish). PS...the swivel set up is good too though...just thoght i'd share what works for me and since you said you wanted to jig...this method is a no brainer....if you have a fishfinder. vertical jigging is sort of a needle in a haystack approach. i spend much of time fishing lakers in a canoe. 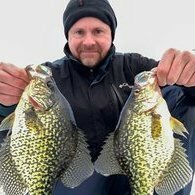 they are more than willing to bite but i would be doing so with either a 3 way rig with 2 oz of weight or a walleye bottom bottom bouncer. @BillM smallmouth are hard to catch there now , not much there ever since the gobies came and took over .. And limey angler thanks helped alot too, think it should be fun ! Gobys havent affected the smallmouth in a negative way Erie is full of them and the fish are eatting them like crazy thats why companies are making baits that look like gobies and they work well. They are an invasive species but they are just another food for smallies. If you find where the trout are are just drift fish with a white grub jig you should catch a couple i have done so from my kayak. Also try using a worm harness they usually pick em up.